We serve most of the Southern California area. A California notary public is able to perform duties throughout the state of California only; they cannot go outside the state. When a person brings a document to a notary public, the notary must be able to communicate with that person; they cannot use an interpreter. As of 2008, personal knowledge is not allowed. Everyone must have some sort of identification or the notary public will need to perform an act such as: Oath of a Single Credible Witness or Oath of Two Credible Witnesses. (For more information on this and other definitions, please click on the Definitions tab). Please remember that notaries public notifies signatures on a document, not the document. An inmate identification card issued by the California Department of Corrections and Rehabilitation, if the inmate is in custody in California state prison. (This information furnished by the California Notary Public website). Click on the link: http://notary.cdn.sos.ca.gov/forms/notary-handbook-2018.pdf for more information. When it comes to preparing a legal contract for a business deal or property deal or anything else, notary service is required. We are here to offer notary services for those who are seeking notary for creating their legal contracts. In fact, we are a leading, reputed and professional mobile notary service California. There are certain differences between the mobile notary and general notary services. A mobile notary is basically the service provider which goes to any preferred location of the clients as per their desires. In other cases, clients have to come down to the notary office to form their contracts. If you are searching professional and dedicated mobile notary Los Angeles CA, we can commit the most satisfactory solutions with precision. We are available for 24 hours and we can reach any desired location, as per your preference in Los Angeles. For any emergency requirements for the notary, we commit that without wasting any sorts of time we shall be at your preferred location within a few minutes of time. A few things make us different from other conventional service providers. So, what are those unique things about us? Why should you consider choosing us as notary services in California? Here are the reasons for you at a glance. We offer mobile notary service Los Angeles CA and that means we shall reach your destination as per your requirements. We are a professional service provider, available for 24 hours. Call us anytime for any urgent notary requirements with hesitation. We are licensed or certified notary service and thus there will be no issues reg the riding legitimacy of your contract documents. So, at this point, you would be thinking that why should you select our notary services Los Angeles? Well, you can find some of the satisfactory reasons to choose us below. We are licensed and legitimate to work as notary services. We offer accurate and hassle free notarization service. We offer mobile service at any desired location of clients in California. We are available at anytime, even on holidays. For finding a professional mobile notary public Los Angeles, people make a lot of efforts. There is no dearth of notary services, but a mobile notary is hard to get. This is the reason why we are ahead of others. 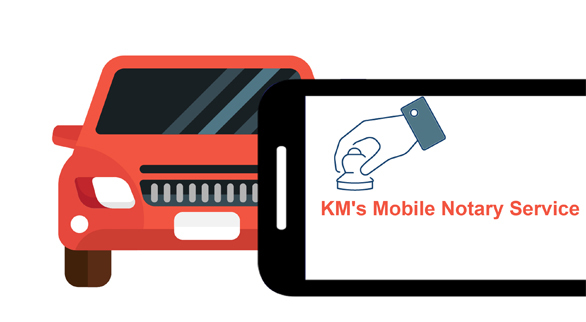 We bring more convenience to the clients by providing mobile services. We reach your desired location and provide you the top-notch services with perfection. Getting in touch with us is easy, as you just have to dial our phone number and express your requirements. As per your preferred time and location, our traveling notary Los Angeles County executives shall reach.